Keep your flower vases filled all summer long with beautiful blossoms picked right from your own garden and containers. Growing seeds, plants and tender bulbs that can double as cut flowers makes it easy to create casual, fresh-cut bouquets for your dinner table or guest room, or to share with family and friends. For early-spring flowers, look to spring-blooming bulbs like tulips and daffodils, and cool-weather annuals like pansies and snapdragons. Clipping branches from trees and shrubs such as forsythia, quince and daphne is another good way to bring spring into your home. Your perennial garden can provide bleeding heart, iris, hellebores, peonies and much more. If the selection in your own spring garden is limited, strike up a trade with a friend. Pick some of theirs in the spring and share some of yours in the summer. Then make a note to add more spring-blooming bulbs and perennials to your landscape. Gladiolas and dahlias add pizazz to summer and fall bouquets. These spring-planted bulbs combine nicely with other summer flowers and they continue to bloom well after other flowers have faded in the heat of late summer. Get some free help planning your additions with the “How to Design a Cutting Garden” article from Longfield Gardens. The flower-packed spikes of gladiolas are available in a rainbow of colors that will inspire your creativity. These inexpensive bulbs are easy to plant and take up very little space. Pop them into containers, flowerbeds or even your vegetable garden. Start planting in midspring and continue every two weeks until midsummer for months of colorful flower spikes. 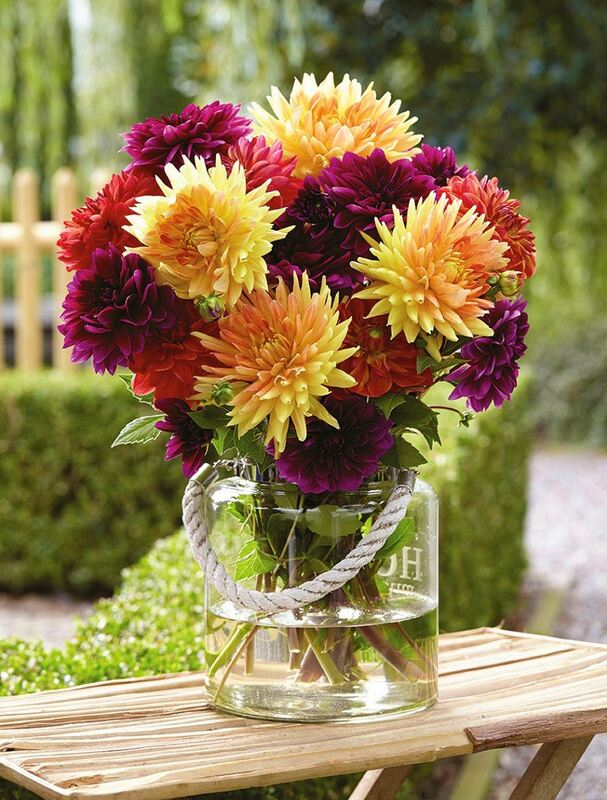 With dahlias, you can choose from dozens of different flower sizes, flower styles and colors. For easy, eye-catching bouquets, plant a color-themed blend such as the Sugar Plum Mix. Another option is to select colors that will harmonize with flowers that are already in your gardens, such as phlox, sunflowers, asters and lilies. Hybrid lilies are perennial garden favorites as well as fabulous cut flowers. Plant the bulbs of Asiatic lilies, Oriental lilies and Oriental-trumpet lilies in spring, for color and fragrance that lasts all summer long. To ensure months of flowers, plant a few bulbs of each type of lily. Annuals play an essential role in any cut-flower garden. Extend your budget by starting zinnias, sunflowers, larkspur and cosmos from seed, and supplement with greenhouse-grown transplants of snapdragons, celosia, amaranth and statice. Foliage can elevate an ordinary homegrown bouquet from good to great, and your garden can provide all sorts of interesting options. Incorporate the leaves of perennials such as hosta, baptisia, artemesia and sage as well as flower farmer favorites such as bells of Ireland, bupleurum and dusty miller. Shrubs such as ninebark, boxwood, viburnum and holly are another source of attractive foliage and some offer colorful berries as well. Cutting and arranging flowers is a fun way to exercise your creativity and bring the beauty of your garden indoors. The more you do it, the easier it gets, and you’ll soon be sharing your flowers with friends, neighbors, family, coworkers and everyone who stops by. 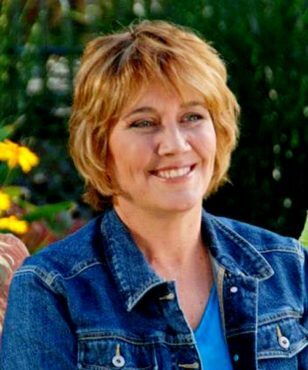 Melinda Myers was commissioned by Longfield Gardens for her expertise to write this article.